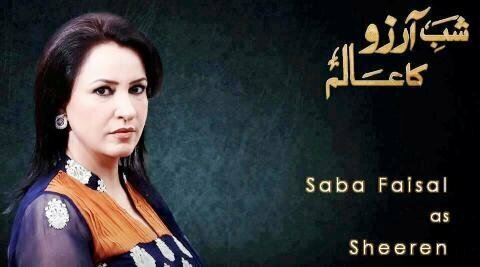 Shab-e- Arzoo ka Alam is a drama by ARY TV. 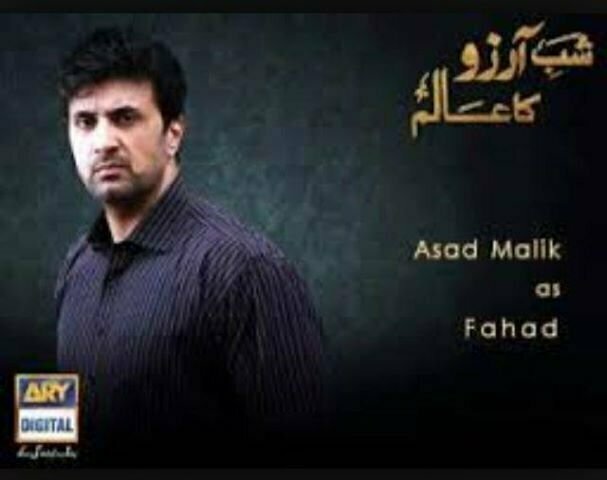 It began from 22nd April 2013, and within two months it captured a lot of viewers’ attention because of its superb direction and storyline. It is directed by the celebrated Sohail Javed while Aneeza Syed is its writer. Shab-e-Arzoo is basically Aneeza’s beautiful novelette about sacrifice and pain in love. Aneeza Syed is a well-known author of Pakistan, who writes for television also. Shab-e-Arzo formerly published in a digest in three episodes and got admiration. It is a romantic-tragedy of Kiran (Armeena) & Dawood (Mohib Mirza). They are truly in love but because of some unfortunate circumstances they have to part from each other. Both go through the same situation in life but the boy leaves every other thing for the girl while the girl had to leave him for the happiness of her family. Therefore, both make sacrifices in hope of getting love and stay happy with it. The drama has an excellent star cast which includes Ayesha Toor, Qazi Wajid, Shahreyar Zaida, Mansha Pasha, Asad, Kamra Khan, Saba Faisal and many more. 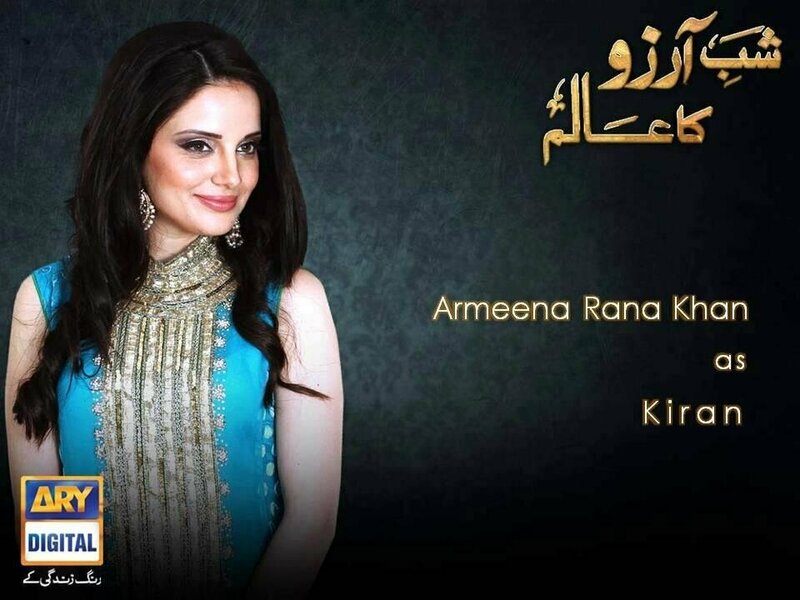 Armeena khan is a new face in the television industry. She is both alluring and bewitching. Critics’ response and viewers feedback about her is very positive. Kiran, from the story is a young girl of high values and flawless character. She is not unfaithful to her beloved but family comes first in her opinion. She forsakes her happiness in her family’s favor. There is a moral in her character for all the young girls of our country. Armeena is perfectly played her role as if it was made for her. To prove this, notice the number of fans (for Armeena Khan) are multiplying day by day! Dawood or Mohib Mirza, the protagonist of the play is also doing his job well. Mohib is already a celebrated actor of television industry; he knows how to grab attention and thus plays superbly. 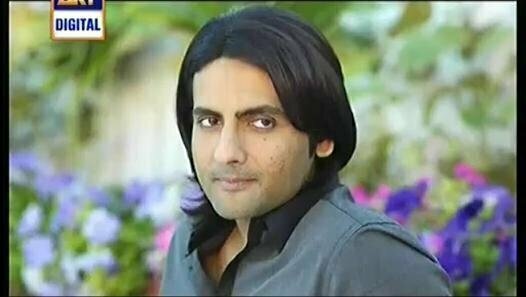 His pair with Armeena Khan is especially applauded in the serial. The story of Kiran and Dawood is still going on, and we are eager to see what unveils in the upcoming episodes. Thanks for sharing your thoughts on ary tv. Hurrah! Finally I got a webpage from where I know how to genuinely take useful information concerning my study and knowledge.